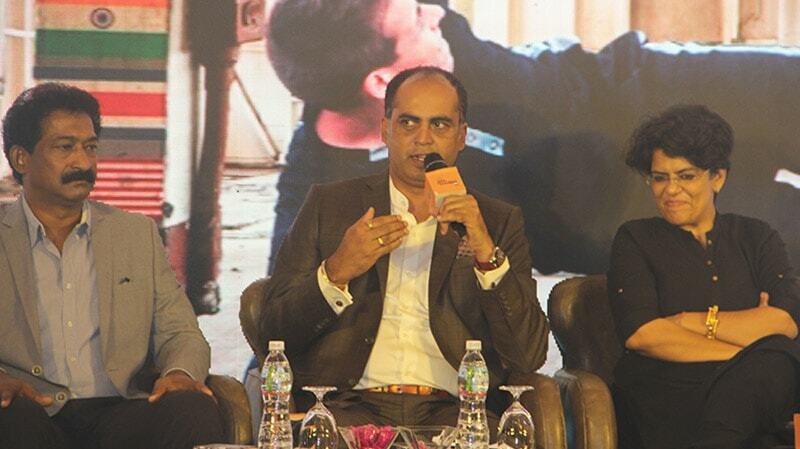 The Star Sports India Football Forum powered by Sony Pictures Network is an annual football forum that is organised by the media company Sportzpower. It centres on Indian Football and its massive potential, especially when it has been continuously grown leaps and bounds in the nation. It is headlined by key speakers from the footballing fraternity from across the globe. And this year International Institute of Sports Management, IISM partnered with Sportz Power as their “Academic Partners” for the event. Javier Ceppi, CEO of the Local Organising Committee (LOC) of the FIFA Under-17 World Cup, began the day with a concrete keynote address that underlined the key points of the current scenario of Indian football and the scope it has for improvement and development in the future. Ceppi was one of the key reasons why the U17 World Cup was such a resounding success and it’s this experience that resonated through his speech. The day was broadly divided into 4 sessions which had esteemed panellists discuss about the agenda of each session and its impact on Indian Football. The first session for the day was about “Youth Connect: On Ground and in the Digital Arena” and focussed on the role that youth connect and fan engagement play and also how important it is to take football at a Pan-India Level and not restrict to just the metropolitan cities. The panel was headed by Javier Ceppi, Biswanath Sinha (Associate Director, TATA Trusts), Sunando Dhar (CEO, I-League) and Vivek Sethia (CEO, India on Track). The session highlighted key points such as how the industry today needs to find a way to induce quality in the sport by investing more money and developing recreational facilities and how it is only through youth connect that the sport can grow at a faster pace across the nation. The second session threw some light on the “Traditional TV and the Digital Future” which included discussions about the rise of digital media in the last decade and how it is inevitable for it to overtake traditional TV as the premium source of media around the world. The panel was headed by Jose Antonio Cachaza (Country Manager India, La Liga), Prasana Krishnan (Executive Vice President and Business Head, Sports Cluster, Sony Pictures Network India), Indranil Das Blah (Founding Partner KWAN; CEO, Mumbai City FC), Rohan Sharma (Delhi Dynamos FC), Rohit Sarma (Business Head, Television. BARC India) and Supratik Sen (Co-Founder and CEO, USports). The third session on “Big Data: The Winning Formula” stressed upon the importance of Big Data & how it can change the game on and off the field. It helped in understanding the relevance of statistical data and how it plays a major role in devising strategies for the matches. One key takeaway was that Big Data is a game changer not only for the future, but also at the present. The panellists for this session were Subhayu Roy (Head Content Distribution, South Asia, Perform Group), Piyush Kumar (Founder, Rooter), Neeraj Athalye (Head, Leonardo Business, SAP Indian Subcontinent), Chetan Misra (Founder, Football Link) and Subhamoy Das (Senior Business Director, ESP Properties). The third session was followed by an enthralling speech by Aaditya Thackeray, President of the Mumbai District Football Association, who laid down his vision for the growth of football in Maharashtra through his concept of ‘Baby Leagues’ which was further followed by a book launch of “Rise Above the Clouds” by Chiranjit Ojha which was based on the story of Aizawl FC who triumphed against all odds to win the I-League in 2016-17. The final session on “Building the Talent Quotient” focused on the importance of footballing academies and how they scout and nurture the right talent and how necessary it is to have premium facilities at the academies to prepare the talent to thrive in the international arena. The panel for this session included Rekha Yadav (Secretary, Railway Sports Promotion Board), Nilesh Kulkarni (Founder and Director, International Institute of Sports Management), Neel Shah (Head Sports Education and New Business, India on Track), Aditi Chauhan (Goalkeeper, West Ham United Ladies and India Women’s National Football Team), Henry Menezes (CEO, Western India Football Association) and Jitendra Joshi (CEO, SportzConsult). After such enriching knowledge sharing sessions by the stalwarts of the industry, the India Football Forum was concluded by Mr. Thomas Abraham (Co-Founder and CEO, SportzPower) with a vote of thanks. Going by the perspectives of the illustrious panellists, it’s safe to say that there is still a lot to achieve for the Indian Football fraternity and we are definitely moving ahead in the right direction.